Irish Universities steal a march on St Patrick’s Day in Chicago! 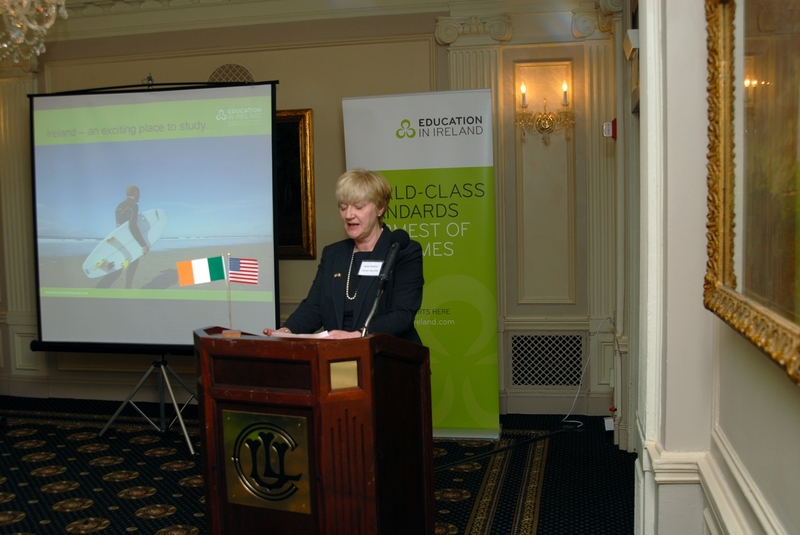 Education in Ireland and Irish Universities hosted an information event for high school college counselors and educators at the Union League Fellowship Club in downtown Chicago yesterday. Prof. Bairbre Redmond, UCD speaking yesterday. Over 50 people were present to enjoy a wonderful lunch and hear presentations about Education in Ireland from Irish and American academics and alumni. 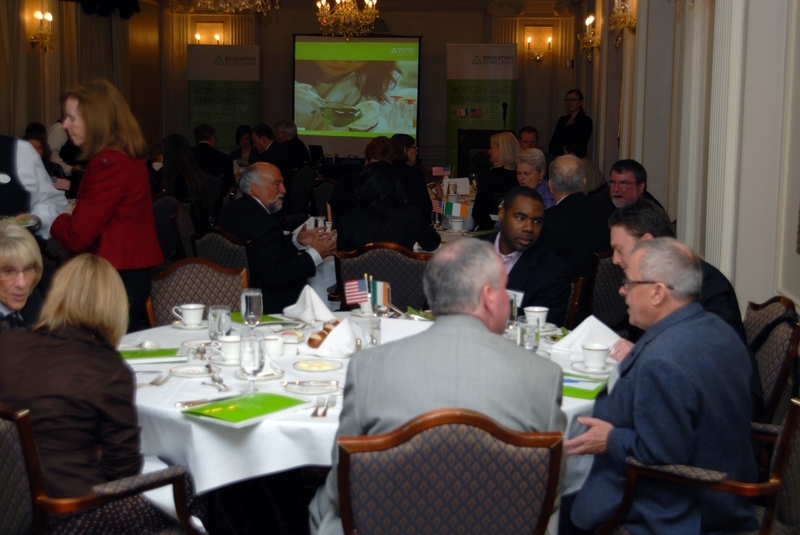 The event was opened by Ireland’s Consul General in Chicago, Martin Rouine. Former Mitchell Scholar and TCD Alum, Catherine Fontana speaks to the group of her experience in Ireland. The group are now in Dallas where today they will host a Study in Ireland Fair for students, parents and counselors from 4pm to 8pm at Arlington Hall in downtown Dallas. 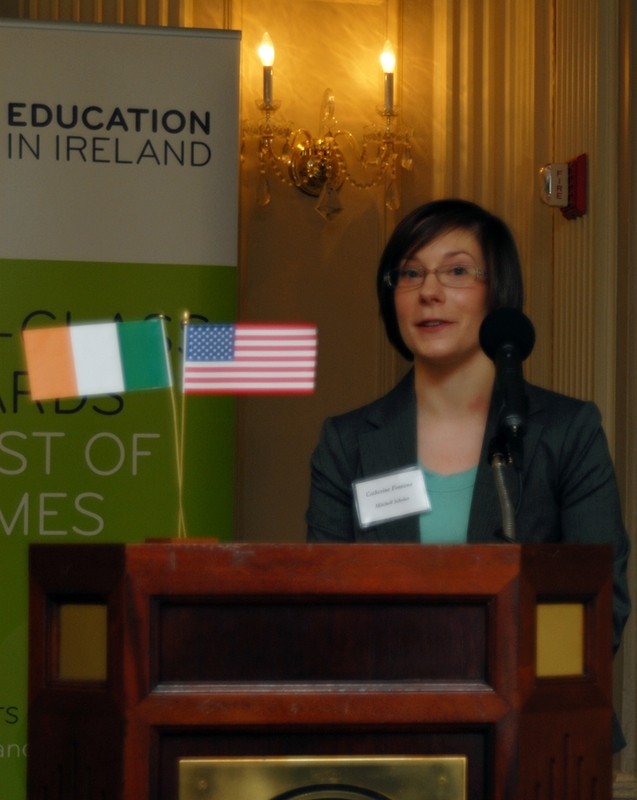 « Education in Ireland US events are about to begin!! !